Prox card, proxie card, keycard, hid card, smart card, access badge, corporate 1000 card, 26 bit card – whatever you call it, the 125 kHz radio frequency card is still the most widely used card for electronic access in North America. Unfortunately, few people are aware of recent developments that threaten the security status of these familiar cards. 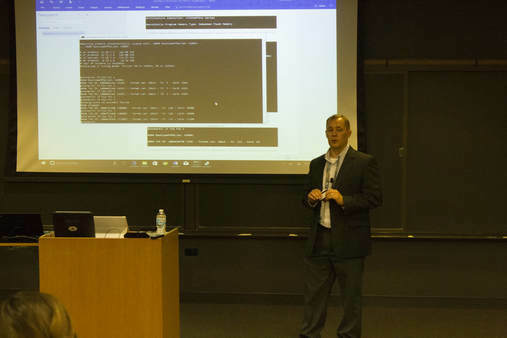 The word “prox” is an abbreviation of “proximity,” which just means “near.” Proximity cards are a significant upgrade for users of mag stripe or Wiegand access cards, which have to be swiped through a reader. Prox cards only need to be held near a reader to open a door, and they work through a wallet, purse, pants pocket or whatever else they are in at the time. Cardholders have enjoyed the convenience of prox cards for nearly three decades. If you curious how retransfer and or pigment based inks might help your id badging environment then feel free to contact us directly via the following contact form. What are pigment based inks & why consider them? 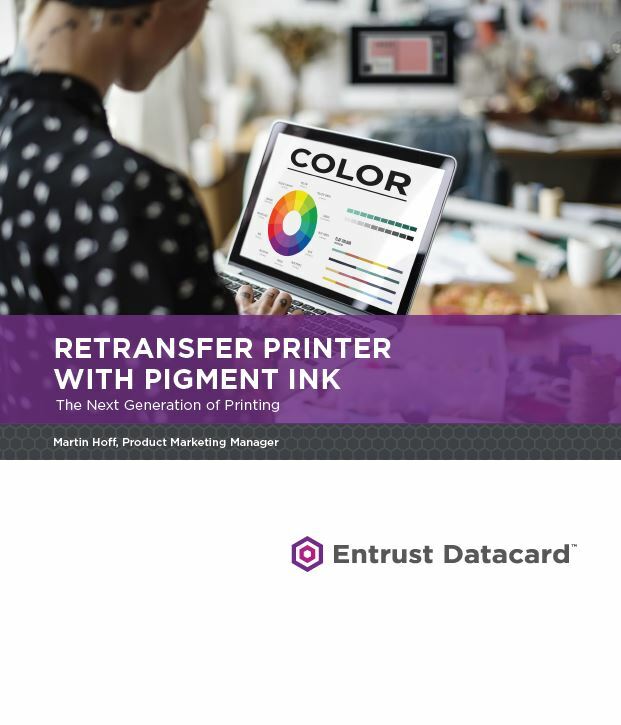 We wanted to highlight this whitepaper that Entrust Datacard recently published regarding pigment ink for their CR805 retransfer printer. Should you consider a pigment ink badge printer? Why is it any different than my existing badge printer? We hope our introductory comments and Entrust Datacard's whitepaper will answer those questions. For the most part, the plastic badge printing industry has utilized dye sub ink and it has worked well but there have always been drawbacks. The biggest drawback to discuss is that because the colors are infused into the plastic material, over time UV rays will wash the color out. Another issue is that over time, the compression against other surfaces like soft vinyl or other PVC cards (from being in your wallet) allow the images to easily be transferred to other materials. The industries solution to prevent transfer of images over the years has been to apply a protective layer onto the printed card surface. This basically allows the image to be sealed and not easily transferred over to foreign materials. Examples of this would be a separate panel in your ribbon or a separate roll of supply for your card printer such as: Overlay, Topcoat, Laminate, Overlaminate, etc, etc. Each manufacturer has their own terminology for it but the end goal is the same which is to prevent the dye sub ink from fading away. From ColorID's own internal testing as well as placing pigment based ink printers into our own customer base initial feedback has been consistently positive and that fading has been reduced or non existent when using a pigment ink for printing and not having to utilize a separate supply, like an overlaminate. We wouldn't be surprised to see more card printer manufacturers release new models that utilize pigment inks, simply because of the positive benefits outlined in the following whitepaper. Continue reading to review Entrust Datacard's whitepaper and if you have any questions/comments about the newest technologies please contact us at the bottom of this article. a visible way during work (both outdoors and indoors). Exposure to fluorescent lighting can take its toll on the badge and it’s even worse when employees are working outdoors. When people get done with work and put their ID badge on the dashboard of their car during the drive home, the effects are compounded. Many organizations will try to address this issue by buying expensive UV blocker laminates. And they often have a higher reissuance of cards due to damage from exposure to light. 2) Image integrity. Organizations not using the latest printing technology often struggle to maintain the integrity of the original image when it’s printed on a card. For example, when an organization has a logo (such as company name, branding, etc.) or face that they want to print, they often have difficulty matching what they see on their monitor to what is printed on the card. Matching skin tones is also a challenge. on the screen to print the desired color on the card. Even with these workarounds, dark colors from dye sublimation will continue to blend into adjacent colors on the card. font, legible is a challenge with today’s card printing technology. Increasing font size or using smaller subset of characters are potential workarounds for this issue, but they are not all available with 300 DPI. The industry standard to date has been dye sublimation ink technology in both direct-to-card and retransfer printing. Entrust Datacard is now using pigment ink technology which has a proven track record in the financial card market, and bringing it to the desk top printer. Here’s a look at the basic differences between dye sublimation and pigment inks. Pigment inks adhere to the top of the card and are not absorbed into the surface. This results in dots on the card surface. Higher density is created by more or larger dots while less density is created by fewer or smaller dots. Color is created by laying cyan, magenta, yellow, and black dots in between or on top of each other. Pigment ink has many advantages over dye sublimation and can help solve the challenges commonly faced in the industry and eliminate the need for workarounds. A benefit of Pigment ink is that it is UV fade resistant so the cards will not diminish over time. This will extend the life of the card, which reduces the need for costly re-prints due to fading from exposure to light. The graphic shown below illustrates what can happen over time when ID cards are exposed to UV. Notice how over time the portrait becomes harder to see on a typical dye sublimation printer. The blue bar, for example, has changed so much that it’s hard to recognize. Also, the logo in the upper left has become harder to distinguish. And the lighter background details are washed out and difficult to see. All of these features are preserved when using an Entrust Datacard CR805 card printer with pigment ink. Another benefit of pigment ink is that true color allows the original image on the screen to match the printed image on the card. The image below illustrates how the image on the screen can be matched to the image on the card via true color. Another benefit of pigment ink technology at 600 DPI is the clear, crisp font printing at less than 2 point. In the images below, notice the clarity of the small font and fine line details, such as Kanji characters, on the card. Retransfer printing with pigment ink technology delivers the best printing solution in the world. The retransfer printing process enables true over-the-edge printing, even on uneven surfaces such as smart cards. When coupled with 600 DPI color pigment ink technology, the retransfer printer produces higher quality images with true color. The images on the card matches the image on the computer screen, text is legible down to 1.5 point font (including Chinese characters and fine line requirements), and UV fade-resistant cards will not diminish at the same rate as typical dye sublimation printing. Contact ColorID today via the following contact form and we will be happy to discuss with you what options your id ecosystem has in regards to pigment based inks and retransfer printing technology.